“The volunteer part is deep rooted, goes back to me as a very small child. 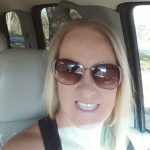 I enjoyed helping others, it made me feel good! That stuck with me through the years. There is so much going on in the world that is tough to hear. I firmly believe that we have the power to change much of this. Volunteering time, expertise, and a dash of passion will do much to make this world a better place. When volunteering, you are given the opportunity to lead by example, by not waiting around for good or needed things to happen you are showing that everyone has the capacity within themselves to be a part of the change. This may require you to step out of your comfort zone and start something new or join a group of volunteers already working on a cause of interest to you. 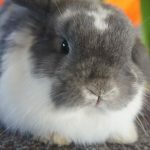 One benefit of volunteering is you get to choose areas to volunteer that are of interest to you, whether it be something you are passionate about or something you want to learn about. ASK Volunteer Anne Marie Shelton (pictured 3rd L-R) with her club members. 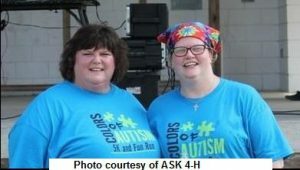 After having my four children, two of which are diagnosed on the autism spectrum and reconnecting with a friend from High School with two children on the autism spectrum, volunteering became even more important to me. 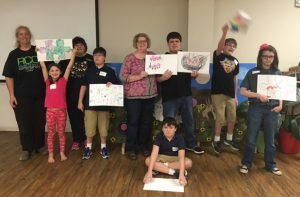 What we have found, living in our rural part of the state of Florida, is that there are few formal services or programs offered for children with exceptional needs. I like to refer to these as diffabilities (I did not come up with this word, but it is perfect). When our son was diagnosed with an Autism Spectrum Disorder (ASD) and was having such difficulties in certain settings outside the home, our instinct was to withdraw to the safety of our home, not pursuing social opportunities outside the home, that were new or unfamiliar. 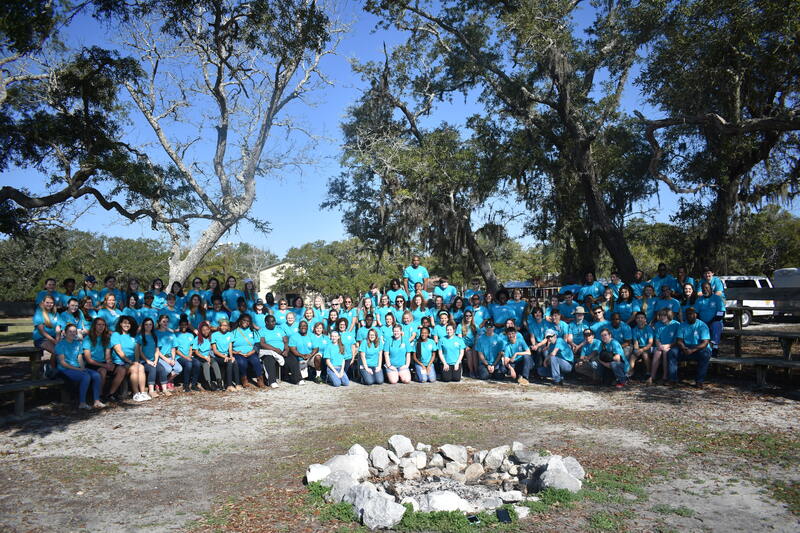 If you are interested in starting a similar club in your county (or helping other volunteers support exceptional youth), contact your local UF IFAS County Extension Office or visit http://florida4h.org. Through 4-H, Victoria is able to share her skills and passions to help young people grow workforce and life skills. Victoria Ballard came to Santa Rosa County 4-H in 2011 from Texas. Her family has been involved in 4-H since her oldest daughter turned eight. As a military spouse, Victoria has seen 4-H in two states. 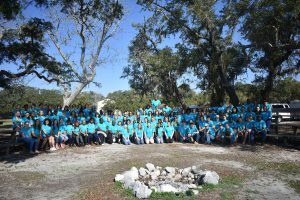 Prudence Caskey, the Santa Rosa County 4-H Extension Agent, has worked closely with Victoria and the two clubs that she leads. These clubs have completed projects on Marine Science, Wildlife, Horseless Horse, Robotics, and Veterinary Science; in addition to supporting a wide variety of individual projects such as poultry, photography, leadership, community service, and many more. To say that Victoria is vital to the success of the 4-H clubs that she leads would be an understatement. But the true success of the clubs comes from the dedication of the youth leaders that volunteer to serve as club officers and run the meetings and present program. The youth, ages 8-17, work together to decide their projects and activities, and learn what it takes to run an official meeting and be a leader in the community. Do you have knowledge and skills that you would like to share with young people? Consider becoming a 4-H volunteer. 4-H is in every county, in every state, and several countries, so it a perfect opportunity for military families especially. 4-H offers a wide variety of roles to fit any schedule. To find out more, contact your local UF IFAS County Extension Office or visit http://florida4h.org. 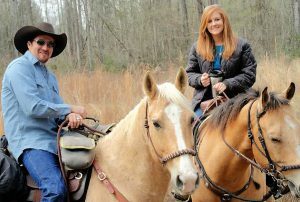 Russell and Julie McMillian both grew up in Gulf County and together have established a thriving business based on their love of horses. They now own a small farm in Dalkeith, just south of Wewahitchka, and their business Rockin’ M Ranch, consists of horseback riding lessons for beginners and beach rides for tourists and locals alike along the beautiful beaches of Cape San Blas. As adults, they both went in separate directions, but still maintained their love of horses and the farm life. Russell began his career in flooring and tile work, while Julie received her education degree and taught Kindergarten at Wewahitchka Elementary School. After reconnecting as adults, they married on September 25, 2010 and turned their passion for horses into a full-time love by creating their own business, Rockin’ M Ranch. 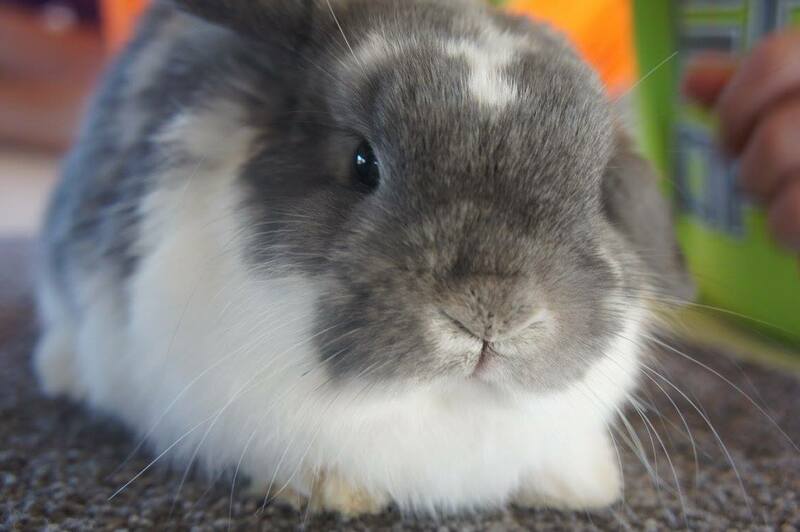 Russell still does flooring, tile work on the side, and helps his grandparents with their hay business. 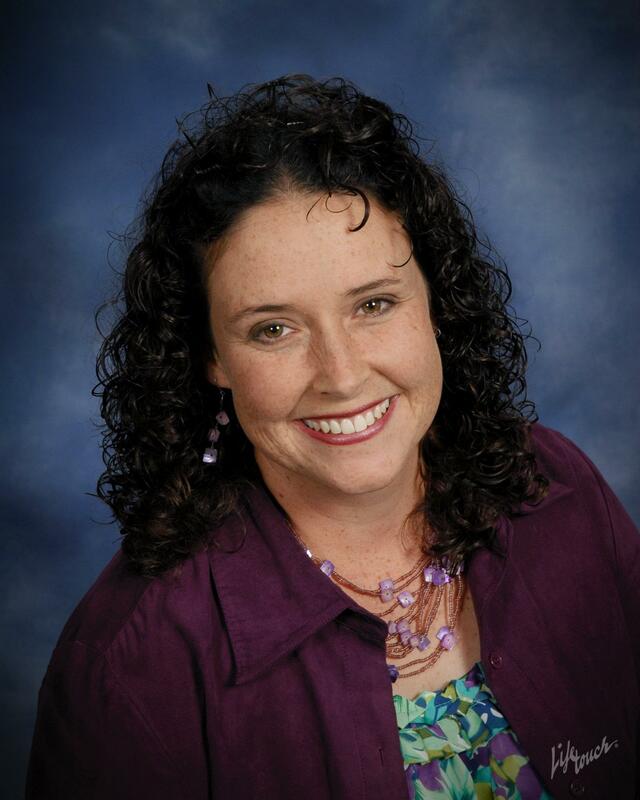 Julie decided to leave the teaching field, and she manages their business full time. She began giving beach rides on the Cape at the age of 14 and still loves it as much today. 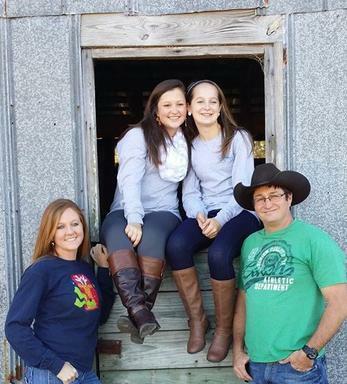 Julie and Russell McMillian pictured with Brooke (left) and Hayleigh (right). Russell began his time with 4-H at the age of 12 and Julie was 8 years old. 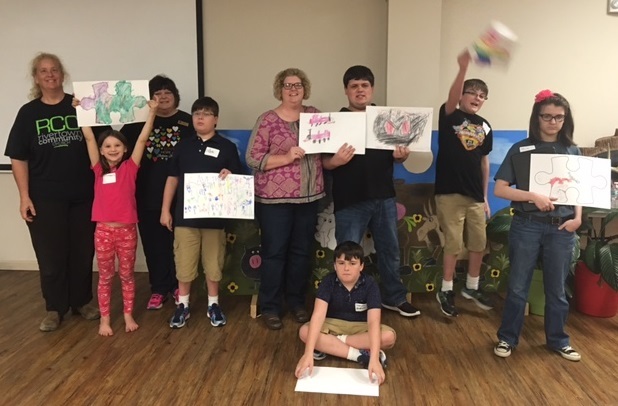 As members of the Big River Riders 4-H Club, they adored their 4-H leaders, Mr. Jesse Eubanks and Ms. Jean McMillian (Russell’s grandmother), and the Gulf County Extension Director, Roy L. Carter (now retired), whose passion for horses was contagious. Julie explained that she was a very shy child and that participating in public speaking for District Events really helped her come out of her shell. They both loved learning the values of the four H’s: Head, Heart, Hands, and Health. They feel 4-H has helped them develop into productive adults with good decision-making skills and in-stilled in them the importance of giving back to their community. They have served as 4-H volunteers for the Big River Rider’s 4-H Club since Russell’s daughters joined 4-H years ago; Brooke (17) and Hayleigh (15) also ride horses and have competed in a variety of Gulf County 4-H programs throughout the years. Russell and Julie have also taught a variety of horse riding classes at multiple Gulf County 4-H day camps. As 4-H and community leaders, their most important goal is to give back to the community that gave to them as 4-Hers growing up here. They really love introducing new riders to the love of horses and 4-H. On any day, Russell and Julie can be found throughout the county at various events supporting 4-H members and any youth for that matter. For more information about Rockin’ M Ranch, please go to http://www.therockinmranch.com/. 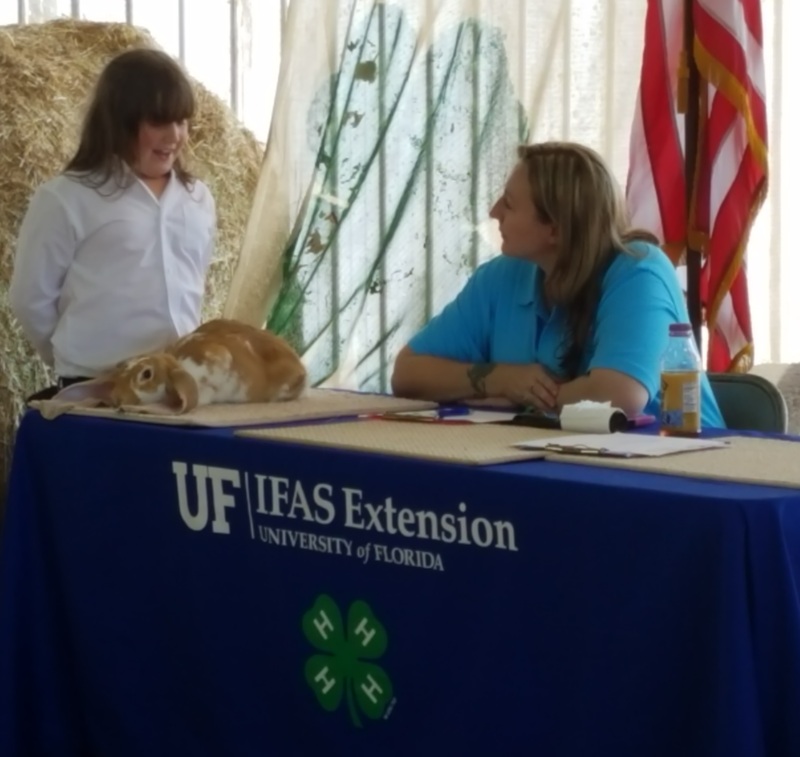 For more information about how to become involved in 4-H, either as a youth member or adult volunteer, visit florida4h.org or contact your local UF IFAS County Extension Office. 4-H offers a variety of roles for volunteers to share their passions, skills and interests. 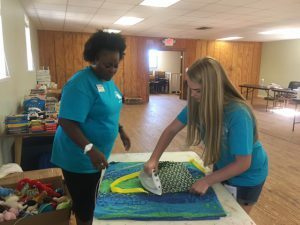 Teens from across the panhandle joined forces to take a stand against cancer by celebrating Global Youth Service Day. This weekend, hundreds of Florida 4-H youth are taking a stand against cancer by distributing chemo kits to cancer patients. Our 4-Hers are joining millions of others around the globe who are celebrating Global Youth Service Day during the weekend of April 21-23. 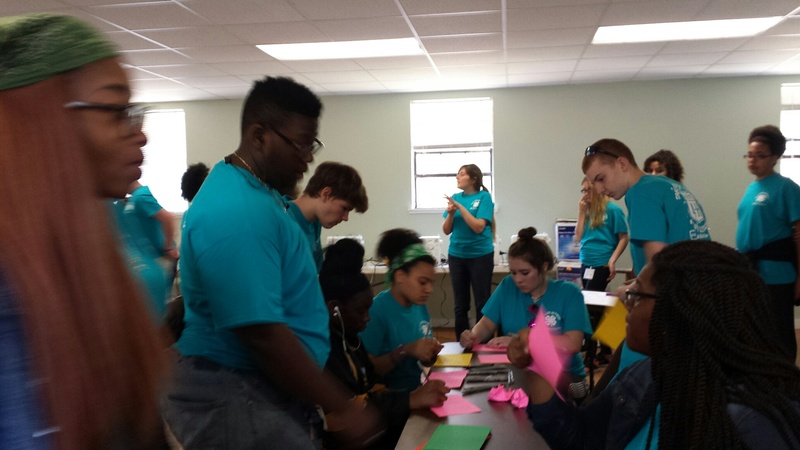 This youth-led initiative was spear-headed by Danielle Tinker, a 4-Her from Escambia County. 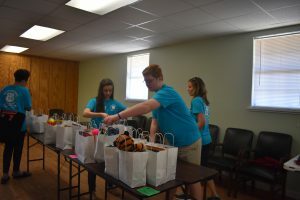 She and a committee of youth from across the Florida panhandle collected nearly 1,000 items for chemo kits, organized them, and packaged them with a handwritten note of encouragement. One of the “H’s” in 4-H stands for “hands to larger service” and is a cornerstone of the 4-H positive youth development experience. Because of programs like this, 4-Hers are 4X more likely to give back to their communities. Youth collected nearly 1,000 items for the kits and organized them by age group and gender. Each kit had a handwritten note of encouragement included. Youth sewed fabric drawstring bags to contain the kit items. This project would not have been possible without the support of Youth Service America, State Farm and Farm Credit of Northwest Florida. Farm Credit of Northwest Florida not only supported this project monetarily, but their employees also collected and donated items for the chemo kits. This weekend marks the culmination of this project during Global Youth Service Day. Global Youth Service Day recognizes the positive impact that young people have on their communities 365 days a year. GYSD is celebrated in more than 135 countries with youth-led service projects and community events and is the largest service event in the world. 4-H is the nation’s largest youth development organization. Over 230,000 members in the State of Florida help to make up the community of more than 6.5 million young people across America. 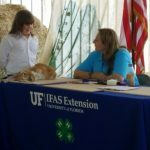 4-H is a non-formal, practical educational program for youth and is the youth development program of Florida Extension, a part of the University of Florida IFAS. To find out more information, or how to get involved, visit http://florida4h.org or contact your local UF IFAS County Extension Office. Learn more and browse GYSD activities around the world on the GYSD Map at www.GYSD.org. Connect on Facebook at www.facebook.com/youthserviceamerica and on Twitter @YouthService and #GYSD.